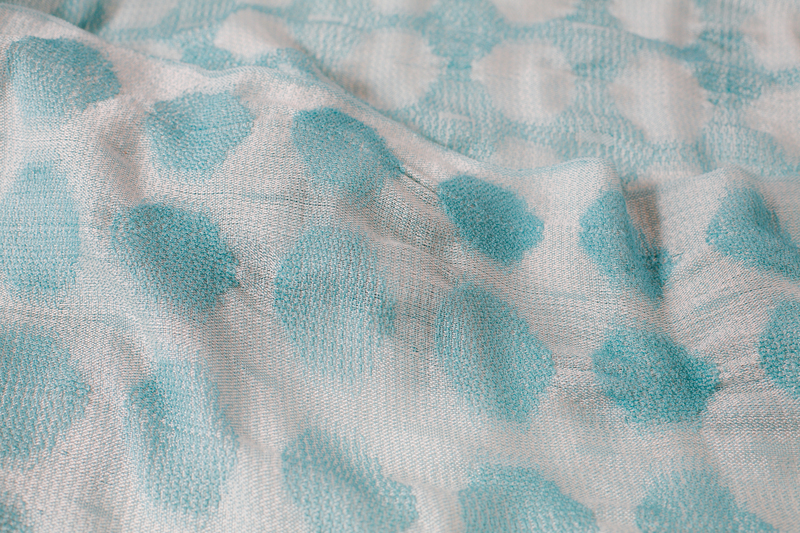 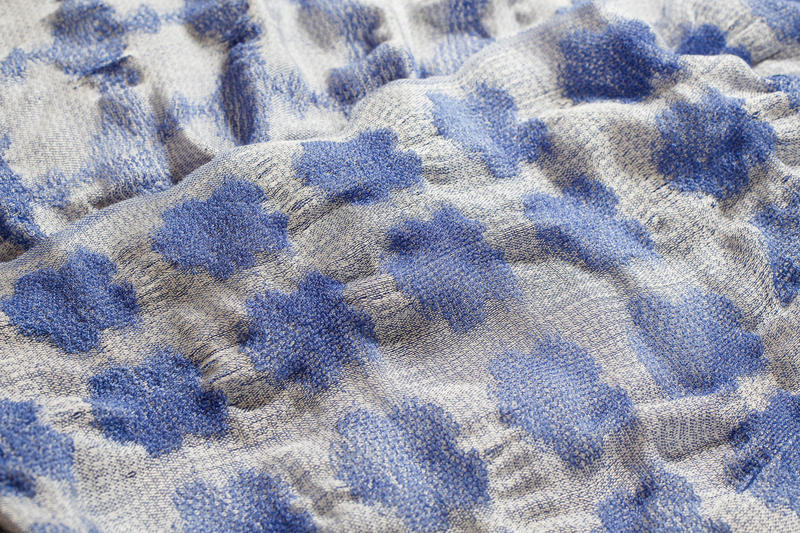 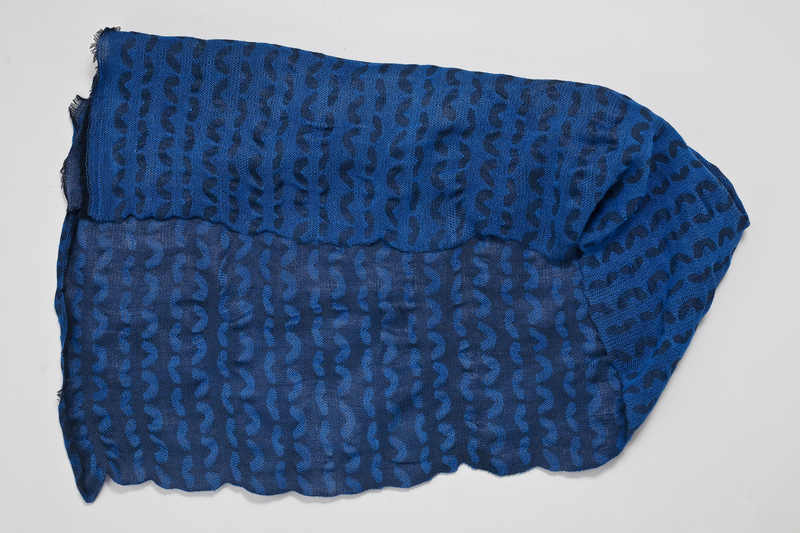 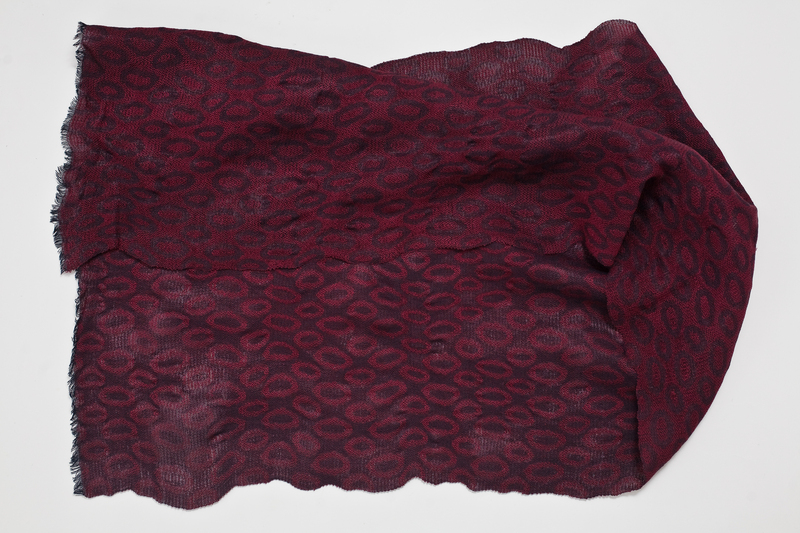 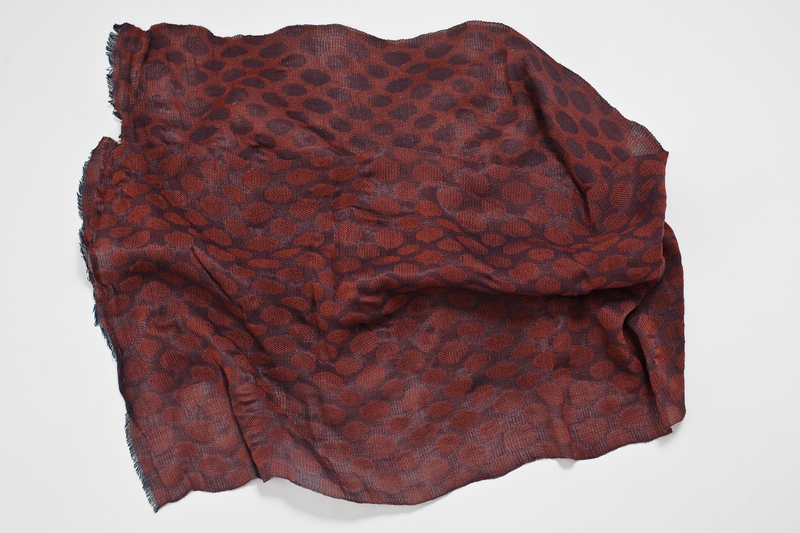 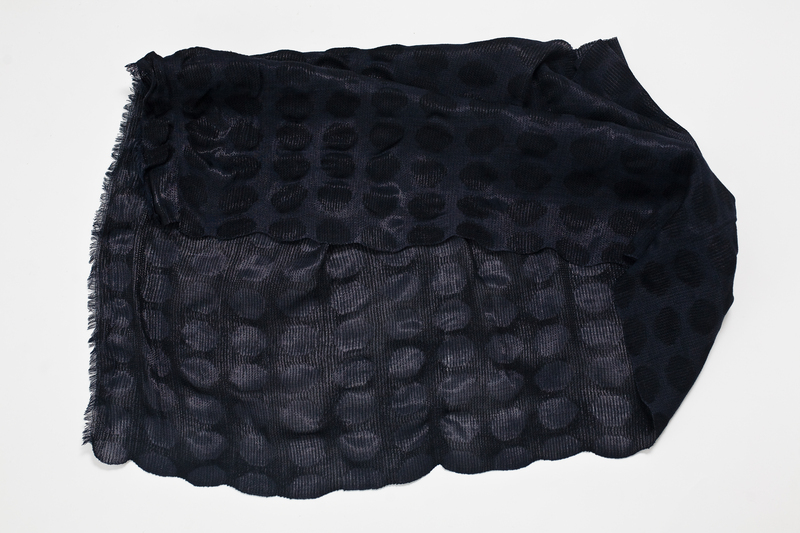 Tessellating native flora, fine merino wool and silk, twill/lampas, @31cm x 172cm. 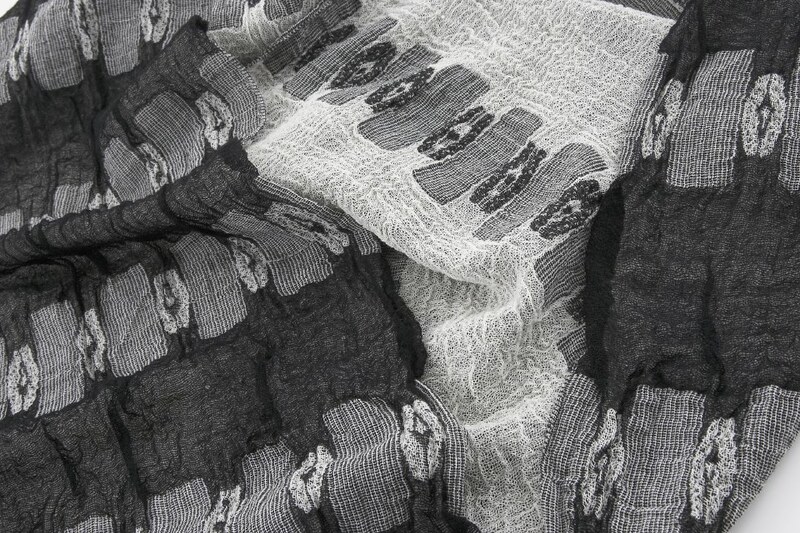 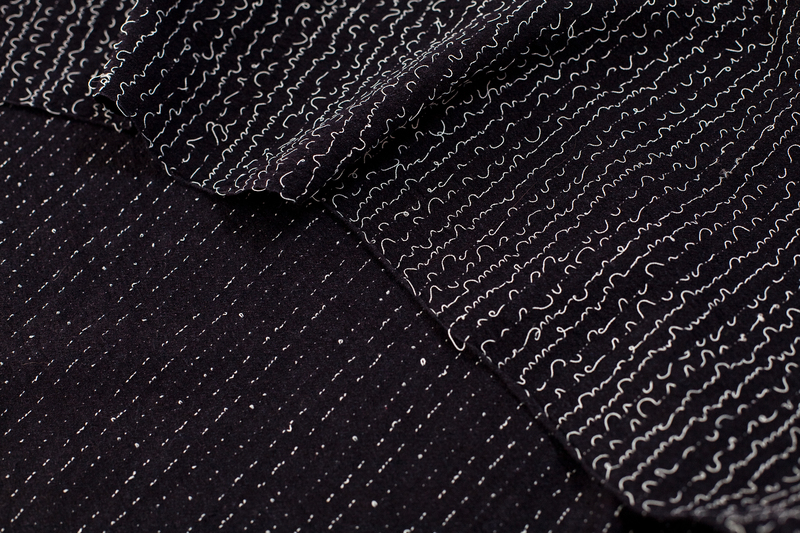 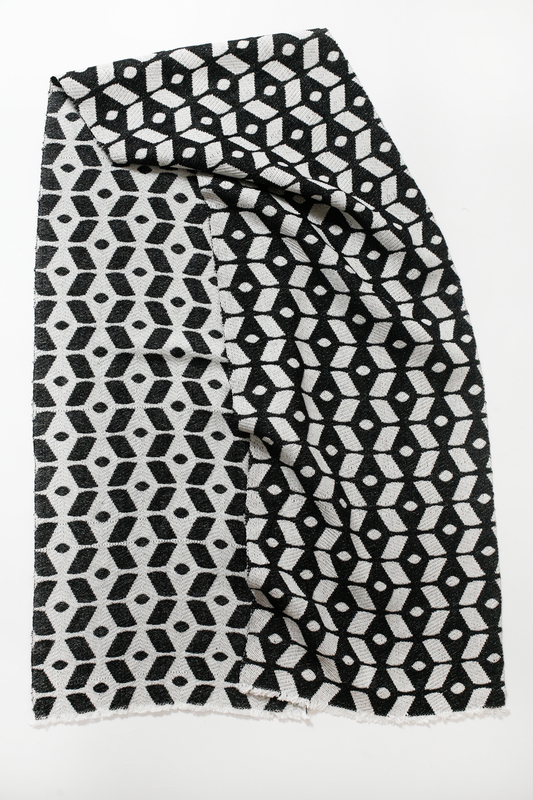 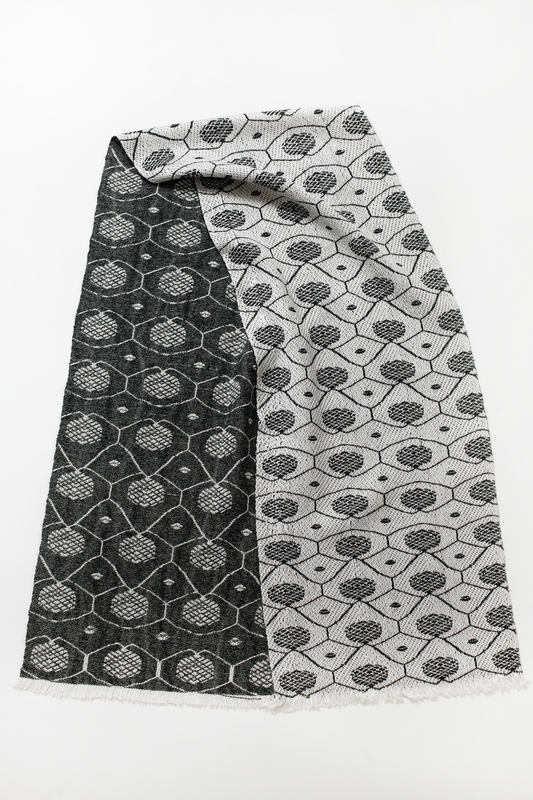 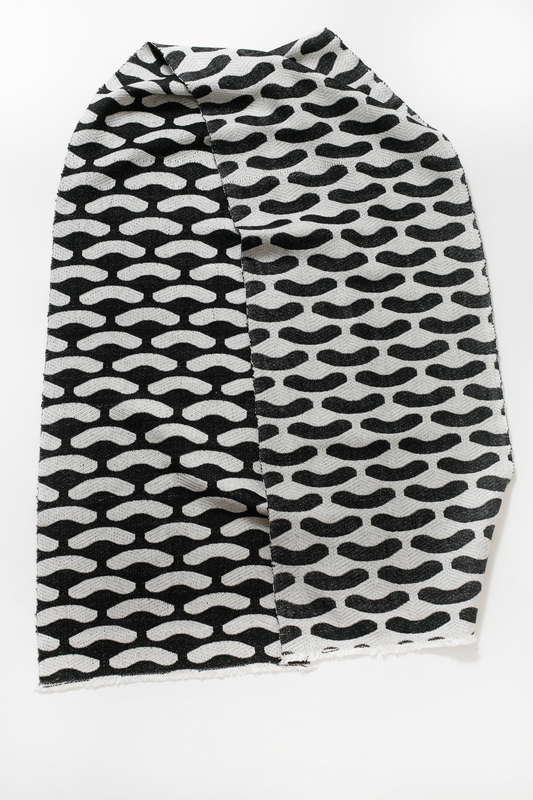 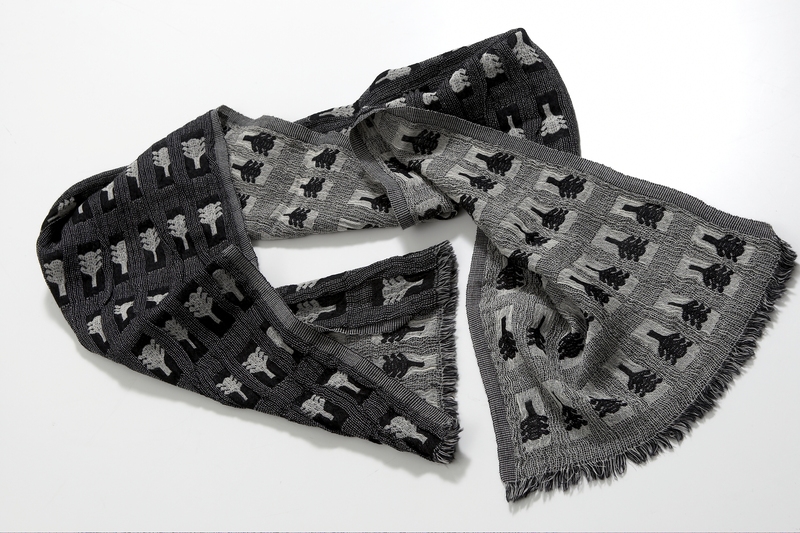 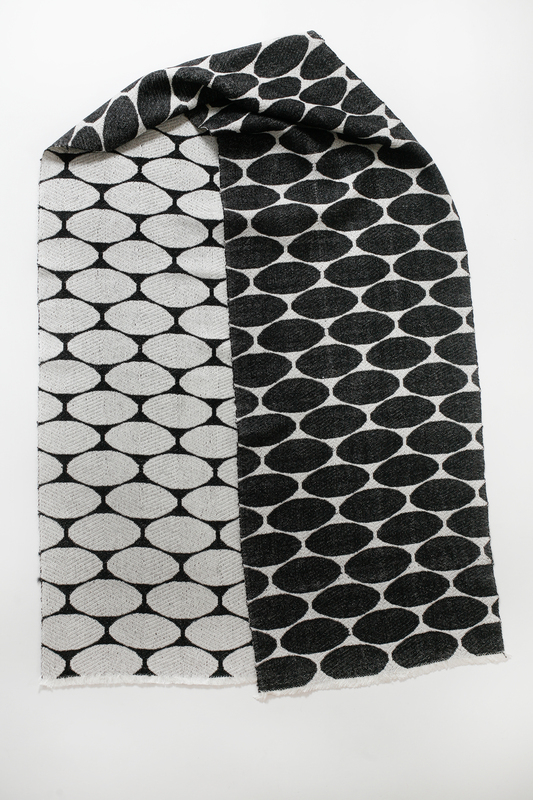 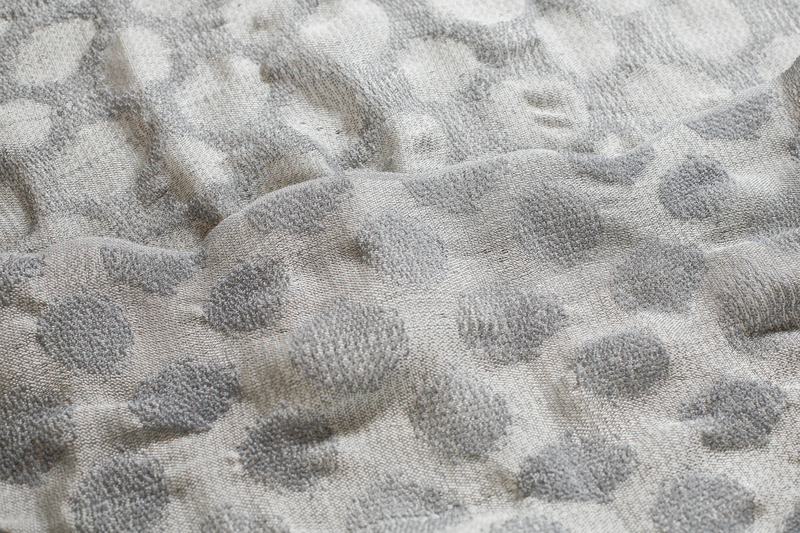 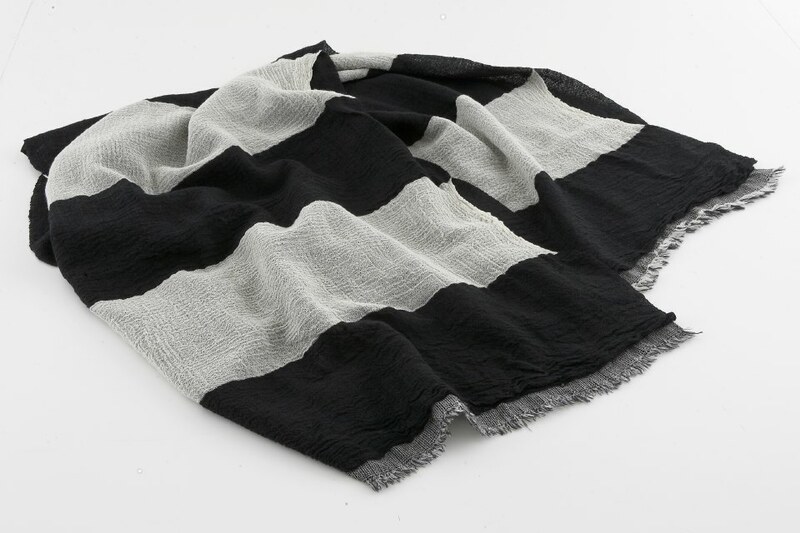 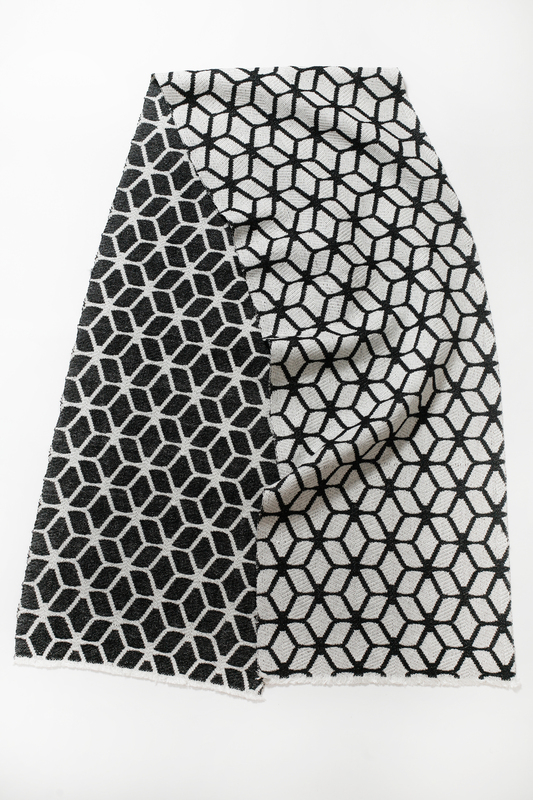 Double cloths – 2 layers woven simultaneously, black and white fine merino wool, differential shrinkage, @ 66cm x 170cm. 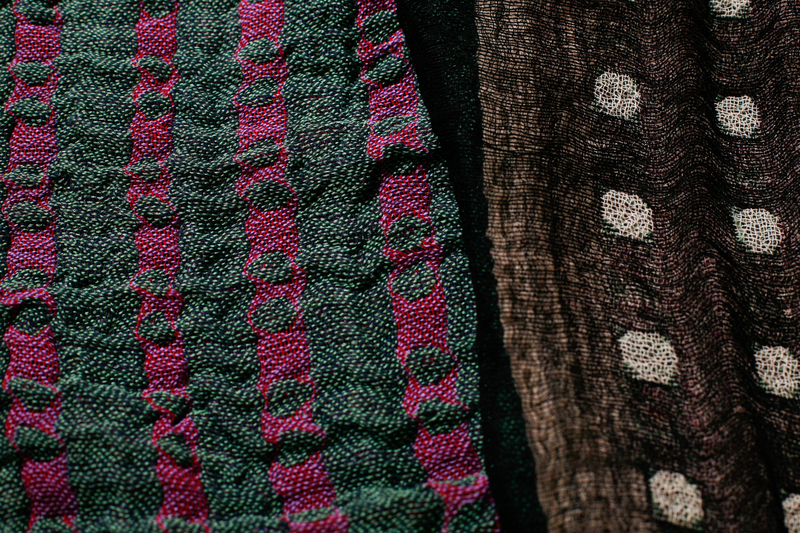 Glow in the Dark Passive Torch scarf series, fine merino wool, silk, glow in dark yarns. 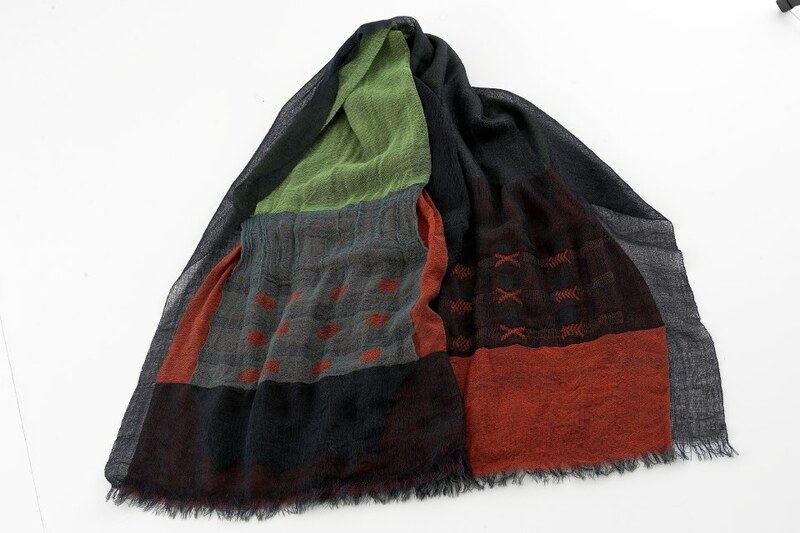 Heat shrunk wrap series, merino wool, silk, monofilament. 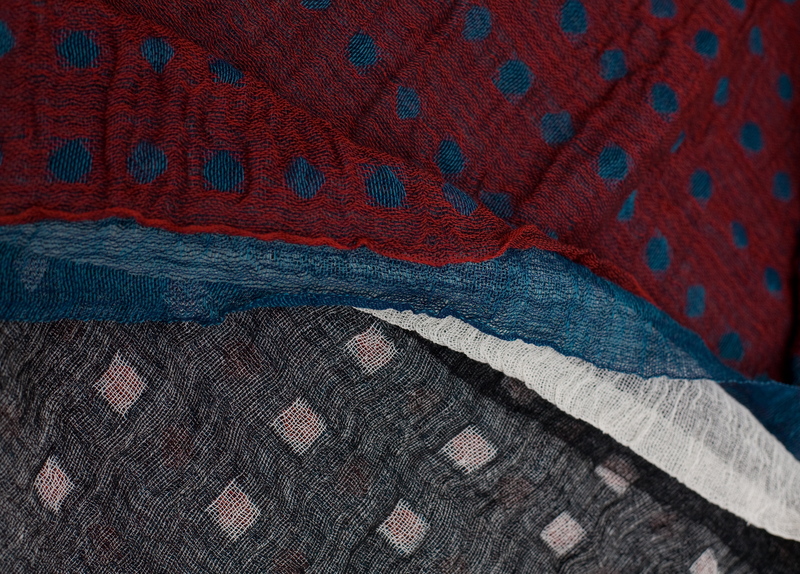 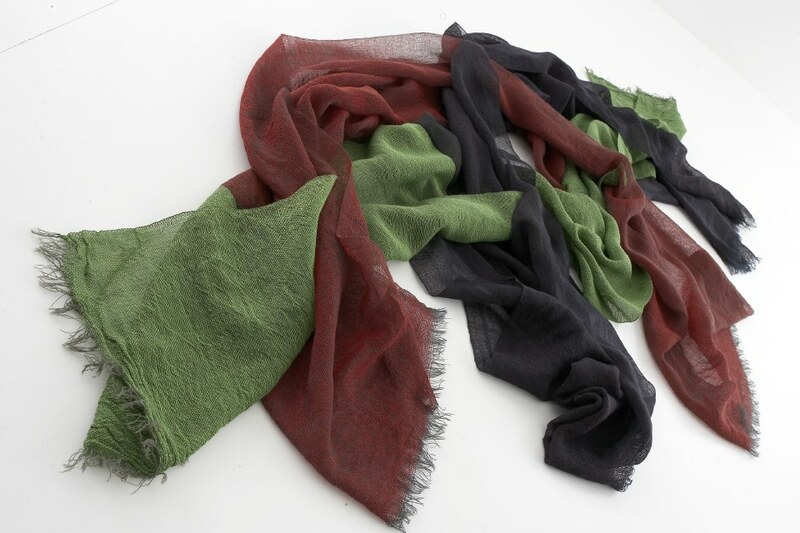 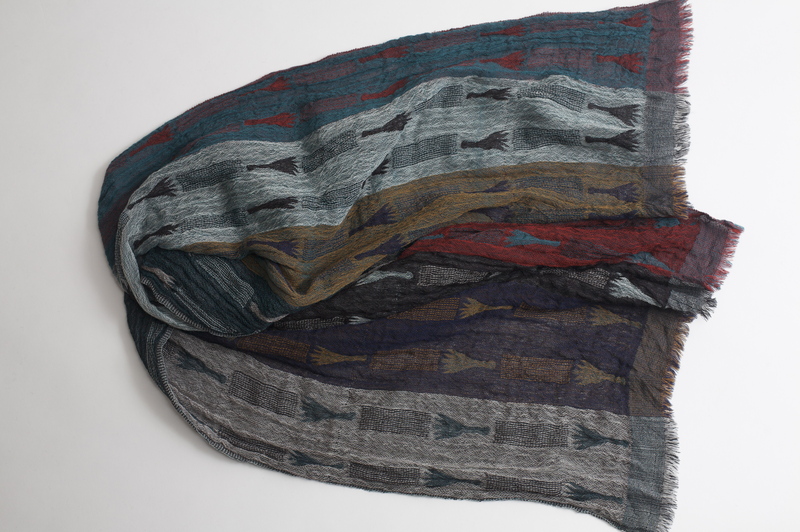 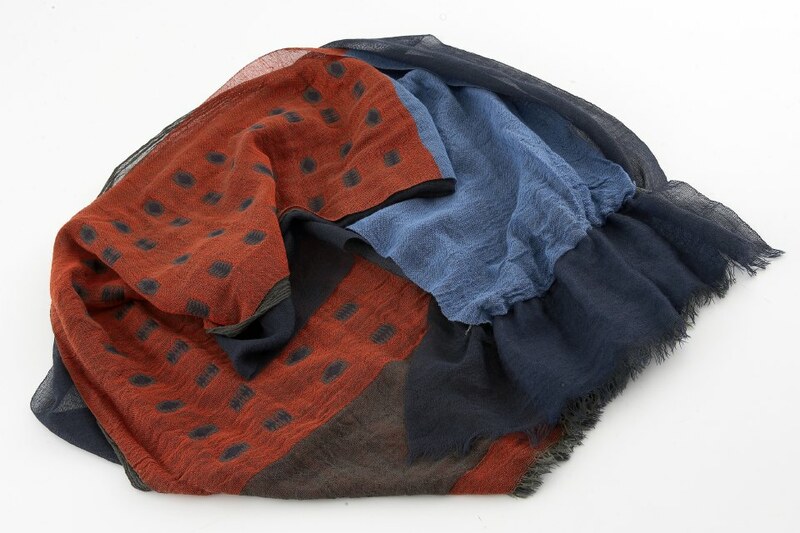 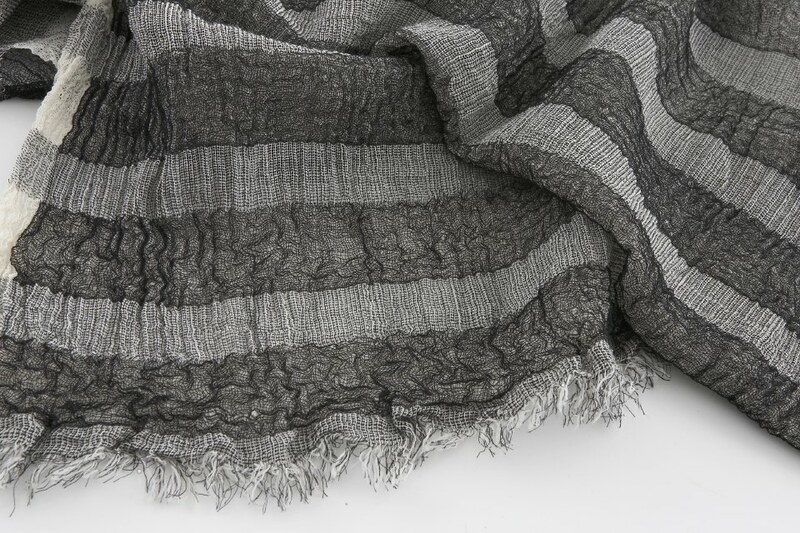 Light, Air and Water scarf series, fine silk, heat treated monofilament, various sizes. 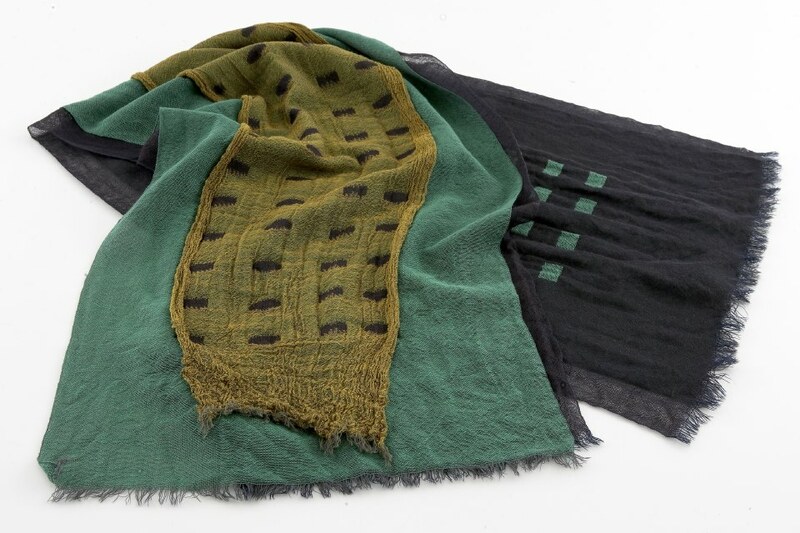 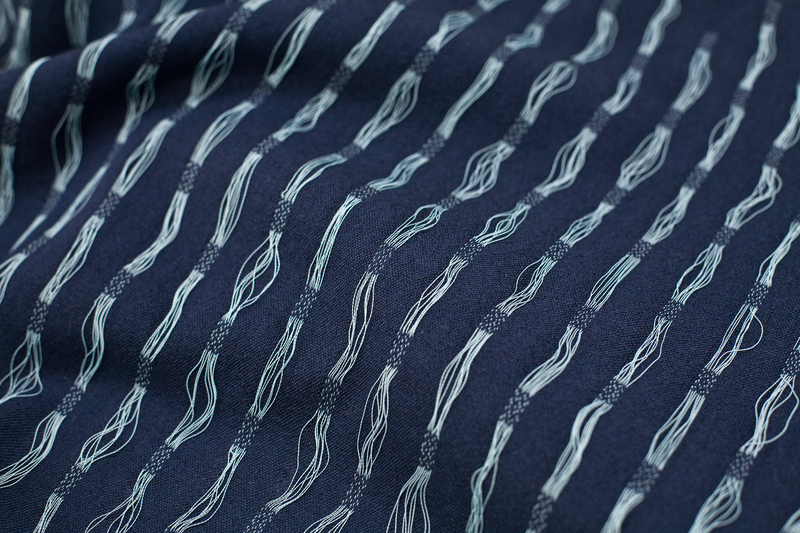 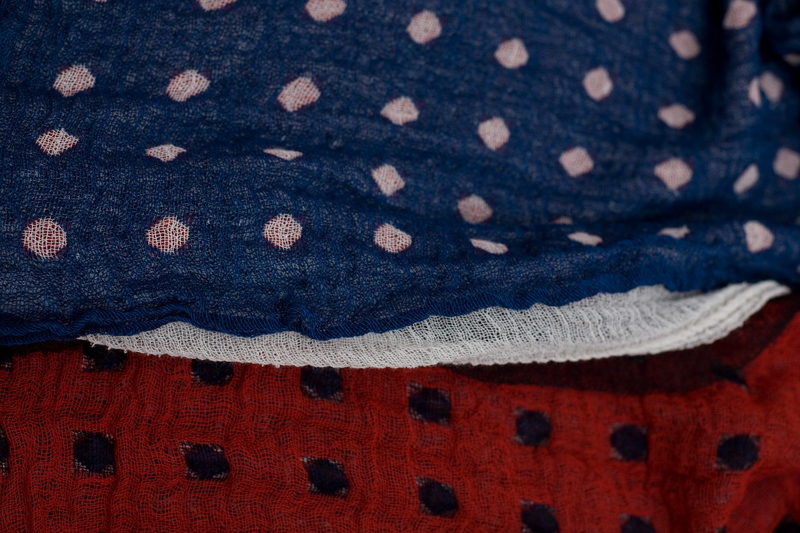 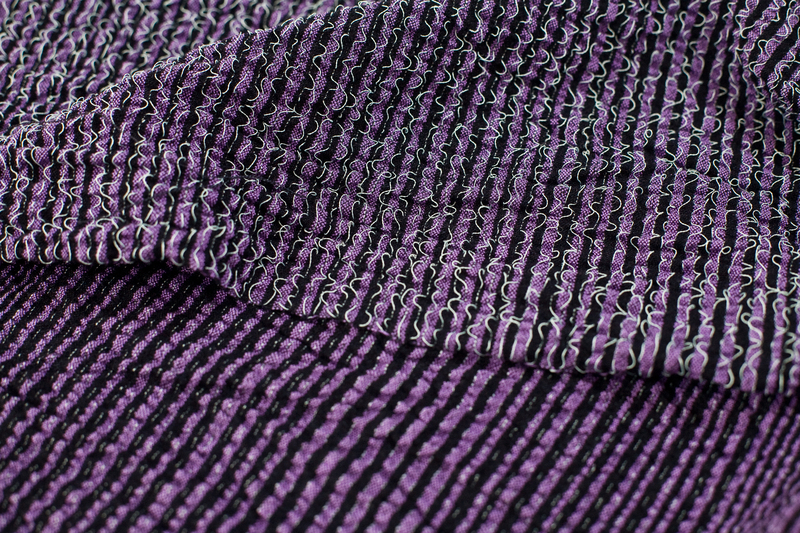 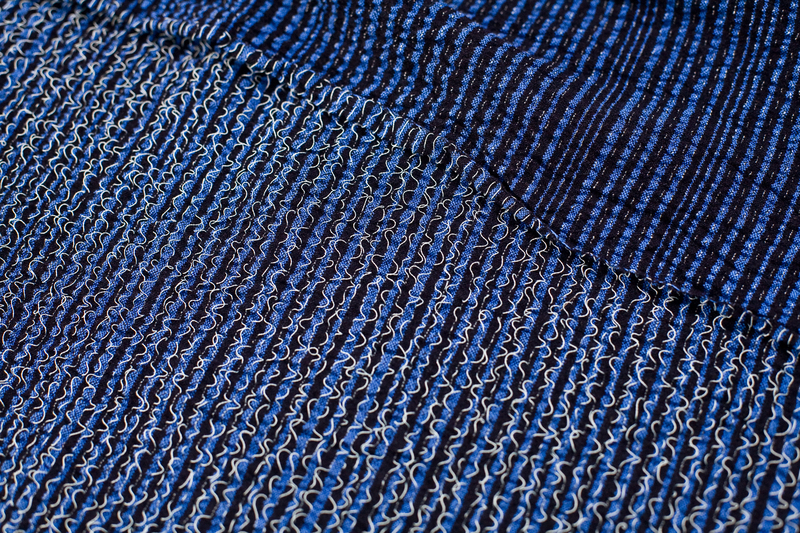 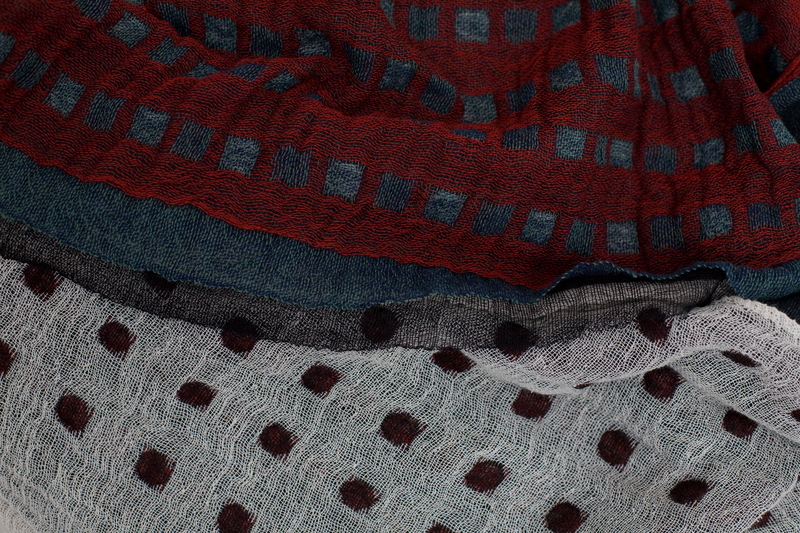 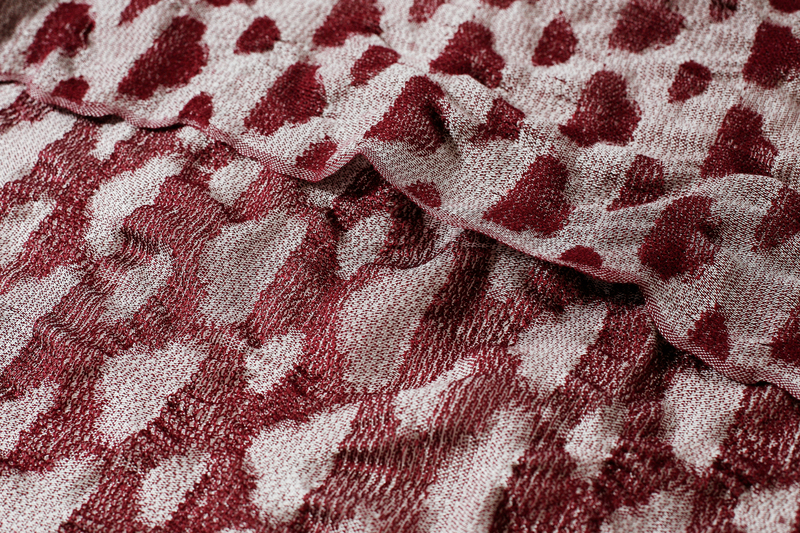 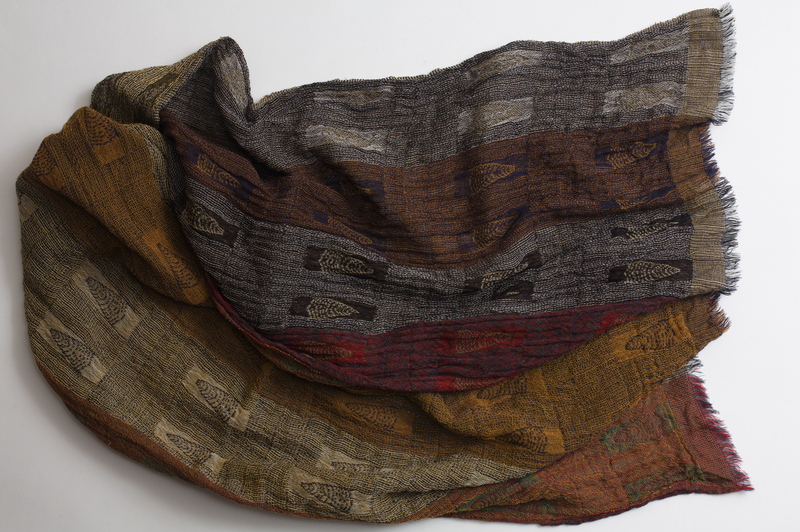 Double cloths – 2 layers woven simultaneously, multi coloured fine merino wool, @ 40cm x 186cm.